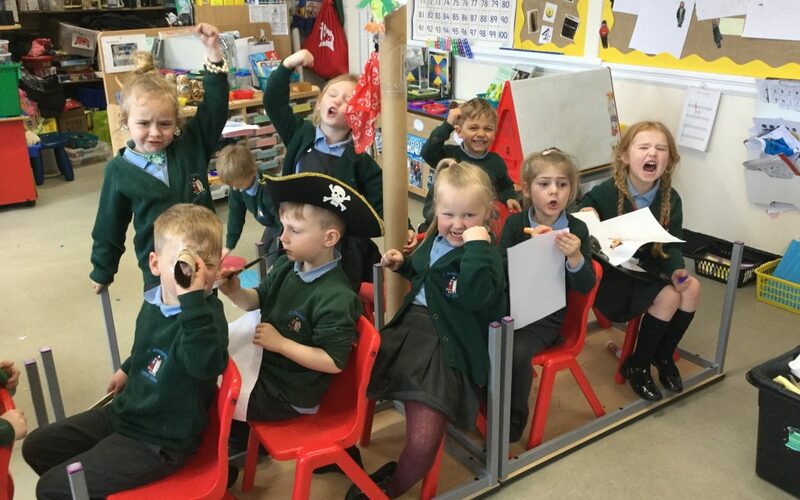 We had an enthusiastic bunch of Pirates in Reception yesterday. 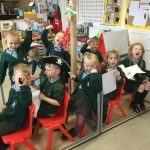 They created their own ship complete with a mast, flag, plank and globes (so as not to get lost!) 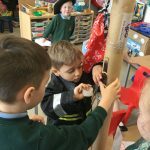 The children worked together to add special touches to the ship. 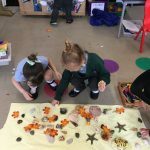 One child began some lovely transient art on the floor to represent the sea, whilst another enjoyed a non-fiction book about the ocean. 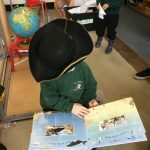 We sang some pirate songs together and the children were so excited as they played together!